Aquasana OptimH2O delivers the best drinking water available for optimal hydration. 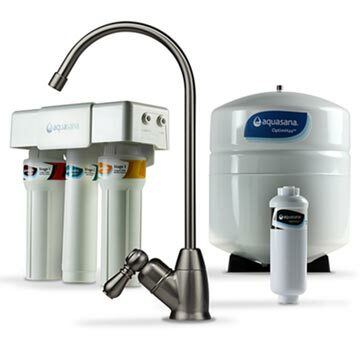 Reverse Osmosis plus Claryum® Filtration Technology for optimum health and hydration: the only proven water filtration method to effectively remove fluoride. 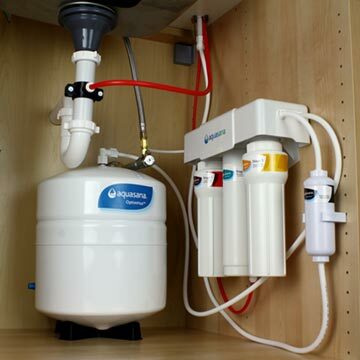 OptimH2O is the first reverse osmosis system of its kind to pair powerful reverse osmosis filtration with Claryum selective filtration PLUS remineralization. Remove the most contaminants from your water while maintaining the benefits of healthy minerals other reverse osmosis systems simply remove. 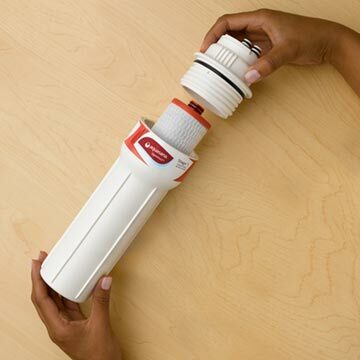 REVERSE OSMOSIS – Filters out dissolved solids smaller than 1 micron like fluoride and arsenic. ACTIVATED CARBON – Reduces organic chemicals like herbicides, pesticides, VOCs and MTBE. CATALYTIC CARBON – Targets chlorine and chloramines (chlorine + ammonia disinfectant). ION EXCHANGE – Filters heavy metals like lead and mercury. ABSOLUTE SUB-MICRON FILTRATION – Captures asbestos and chlorine resistant cysts like giardia and cryptosporidium. REMINERALIZATION – Puts back healthy minerals to improve pH balance & water alkalinity.